The freight and logistics industry is going through the toughest times ever known, with many long-time industry stalwarts saying that cost increases will bring many companies down. 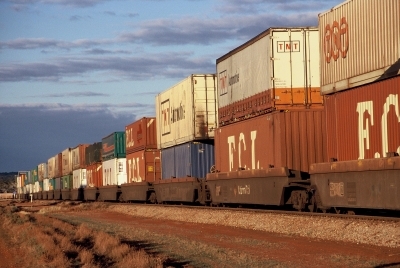 The Victorian transport and logistics industry is one of the state’s largest sectors, employing more than 330,000 people and contributing more than 14 per cent of the state’s gross state product. • Cash flow / inventory costs. • Environment issues and carbon offsets. Mr. Lovel said: “We don’t think either the politicians or the community in general understand the increasing burdens on the industry. Whilst they argue in Canberra about miscellaneous political issues, many companies are going to the wall. It is about time the politicians faced reality. • Develop new technologies for fuel savings, including higher productivity vehicles. • Work on alternative fuels and taxation changes. • Look at opportunities for bulk buying, especially fuels and oils. • Lobbying with other industry organizations to achieve more influence at State and Federal level. • Work with all our major customers to restructure delivery services and current operating restrictions. • Work with the State Government to reduce Congestion (increase clearway times). The VTA is now inviting specific industry and supplier representatives to the first Industry Think Tank session early in July. Visit www.vta.com.au.